Stomach pain troubles many Beverly Hills, CA area patients. Stomach pain should never be ignored, because a serious health issue may be the cause. 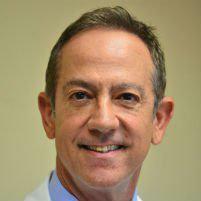 Dr. Moses Fallas is a West Los Angeles general surgeon who offers stomach pain solutions for patients who want the most minimally invasive solutions. The cause of stomach pain may be different for each person. The abdominal area can be affected by many different organs, including the gallbladder, the stomach, the spleen, the liver, the appendix, the intestines, and the pancreas. In some cases, the pain may be the result of more than one issue. Sometimes the problem may be a mild inflammation, while in other cases it may be a cancerous growth. Because it can be very difficult for a person to determine whether the pain is serious or not, it is always best to visit the doctor if the pain is persistent. How Will the Doctor Evaluate Stomach Pain? The doctor will first discuss the patient's medical history with them in detail. In many cases, this medical history yields valuable clues as to why the stomach pain is happening now. Often, tests are needed to determine the exact nature of the stomach pain. These tests may include complete blood counts, urinalysis to check liver and pancreatic enzymes, radiological tests such as ultrasound, and endoscopic tests like a colonoscopy. How Is Stomach Pain Treated? The treatment for stomach pain will depend on the nature of the issue. For some patients, a lifestyle change may be sufficient to resolve many minor stomach pain problems. However, many patients require medication, surgery, or both. In many cases, stomach pain must be treated promptly or it will worsen. For example, if a patient with appendix problems ignores the issue and doesn't get medical attention, they could potentially put themselves in a life-threatening position. Stomach pain should always be taken seriously, especially if it appears to be chronic. If stomach pain in a specific area persists for more than a day or two, it is usually best to call the doctor for an evaluation right away.